It is hard to equate enterprise IT with one of the world’s leading online retailers. Amazon has emerged as not only a dominant ecommerce website, but also as one of the highest rated cloud computing providers. Amazon Web Services (AWS) has consistently been ranked a leading cloud provider as only one of two providers named in the “Leader Quadrant” on Gartner’s Infrastructure as a Service (IaaS) Magic Quadrant report. Additionally, AWS is growing rapidly. Amazon posted decent earnings this quarter (and is poised to continue to grow) with profits of $265 million, which also shows that the demand for IaaS and scalable cloud computing is strong. One of the greatest benefits of AWS is its ability to provide IT infrastructure components, on-demand, and at scale. Prior to IaaS, any time an enterprise IT department wanted to test a new application or needed to purchase a new server for additional dev capabilities, they had to go through the traditional procurement channel and deal with weeks or months of approval to get the equipment. After the project was over, the IT department then had to deal with equipment that they wouldn’t need to use for a while. AWS broke this model by allowing end users to purchase server space and processing power on-demand. With the Amazon Web Services, after your on-demand computing has served its purpose, you can opt to scale back or utilize your new components for another project. IT budget forecasting is an incredibly complex process. Often IT departments end up overprovisioning and by purchasing both hardware and software that gets underutilized. This model of purchasing is like buying a $1000 laptop and only using it for email and word processing. The same functions could have been done with a $200 computer. Not only does the scalability of AWS provide for easy, on-demand computing power, but is alleviates a lot of the stress of IT budget forecasting. IT departments no longer have to spend thousands of dollars on equipment, to then implement the hardware and find that only a fraction of the system is being used. AWS allows businesses to pay for the exact amount of computing, processing, and data storage they need. This model is more economical and allows IT departments to set annual budgets based on the monthly service charge for Amazon Cloud Services (with some wiggle room of course!). As IT departments no longer need to buy additional physical servers for special projects, application development and testing, or even simply for expanded storage capacity; they are able to keep the in-house IT infrastructure well organized. Instead of having to make room in the server room for new equipment (and also having to dish out money for increased cooling and electrical costs), AWS allows IT departments to scale up or down, without having to disturb the company’s internal IT infrastructure. 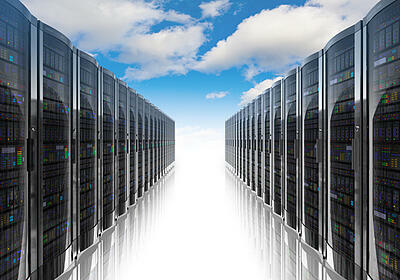 Are you interested in implementing Amazon Web Services in your business? Let one of our Privo IT consultants help you plan and execute an IaaS strategy that is the perfect fit for your business, with the flexibility the cloud is known for.